The objective of our redesign was to create a more engaging experience for the user. 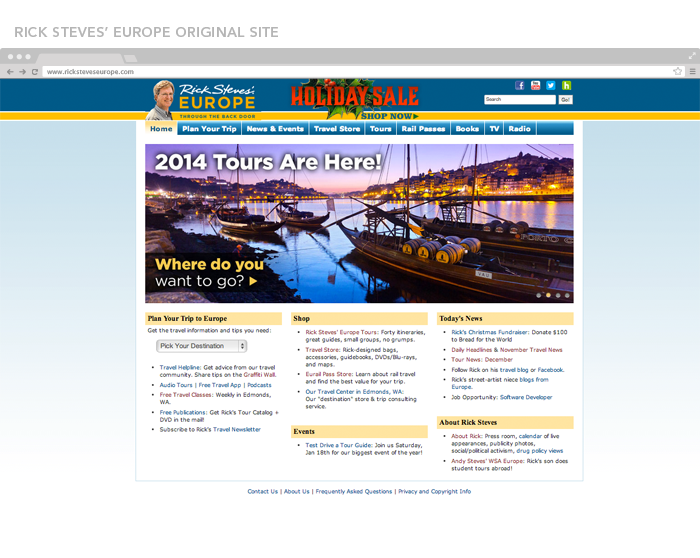 The original site’s disorganized information, cluttered header and weak hierarchy left the user feeling overwhelmed. Working within a small group, we researched similar companies and created a competitive analysis which helped us better understand our own target audience — travelers on a budget looking to experience the unique character of a travel destination. Through our wireframing process we were able to synthesize the information into a clearer, more structured layout. We updated the color palette to reflect the familiar brand but to ensure a more vibrant and modern feel. 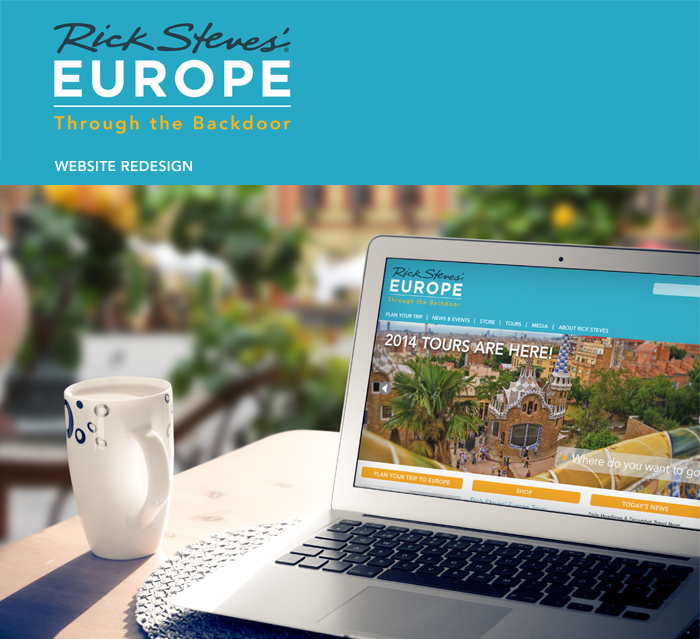 The original design lacked the visual impact needed for a travel website. 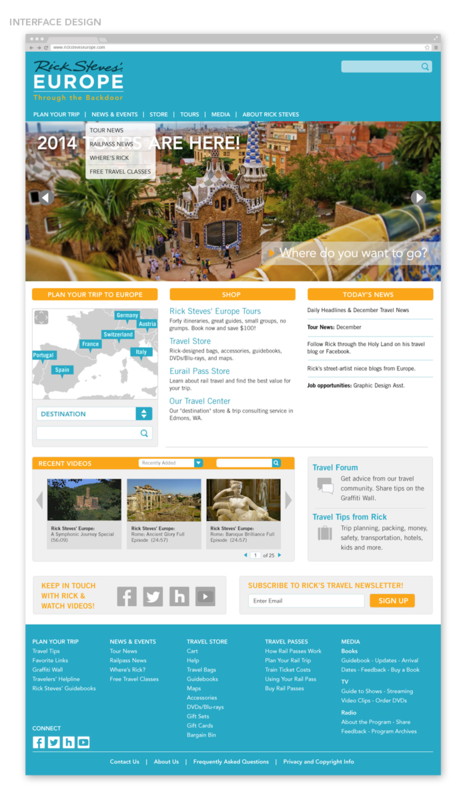 Our solution was to introduce new elements for a more engaging and user-friendly experience such as an interactive map in place of the standard dropdown navigation, a full horizontal hero to create visual impact and inspire the traveler, video content to immerse the user, icons for a friendlier style, and an emphasized social media section to strengthen the user’s connection and future interaction. My responsibilities included researching, wireframing for both the home page and media page, shaping and designing the overall look, creating elements and icons for the mockups.